Recently, I started a separate blog exclusively for my book reviews. It’s called Lyssa’s Book Reviews. I posted my first review there late last week and I’m working on another now. Please feel free to check it out! 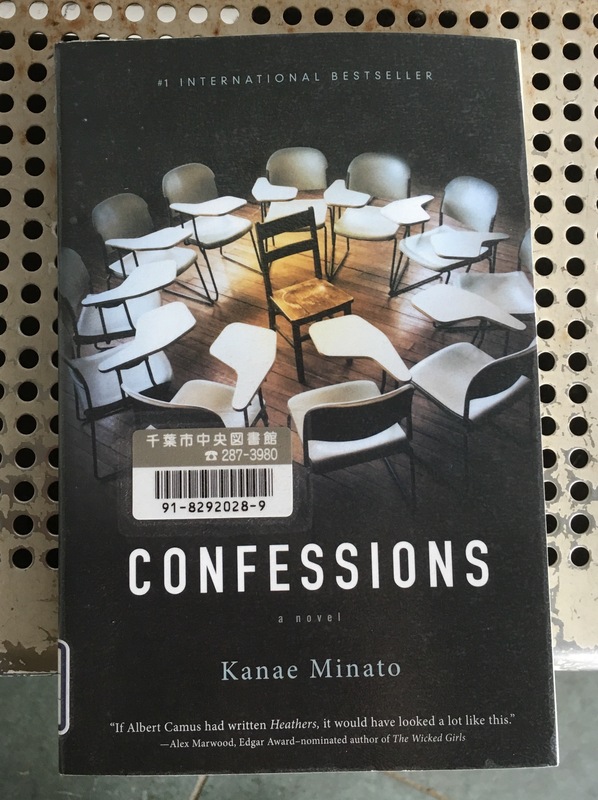 Here is a link to my review of Kanae Minato’s “Confessions”. Enjoy! My first foray to the local library in a long time yielded a thoroughly dark, thoroughly enjoyable Japanese school thriller (translated into English). Spring is slowly arriving. I actually saw a couple of cherry blossoms finally starting to flower at the park yesterday and there are days, at least, where the weather warms up. We’re getting there. If spring is creeping in, maybe it’s time to start creeping back into blogging too. I’ve made a couple of changes here, the most notable being the name of my blog and username. I’ve gone from “Wisps and Whatnot” to “Lyssays”. It’s basically a play on words. I’ve used Lyssa, in various ways, as one of my online names for years and I will continue to do so as my user name here! The rest comes from my long-held dream of writing intelligible enough posts that they might be called essays, plus the fact that “Lyssays” looks a bit like Lyssa Says. See, I’m very pleased with my wittiness on this one. It’s been a very long winter. We kept getting sick, often all at once. I’ll definitely be getting my flu shot next winter just to try and avoid that nightmare again. When I wasn’t getting sick, I was swamped with work. That’s a situation that’s bound to arise again, but I’ll try to work getting more blog posts up anyway? I get all these ideas in my head for them, after all. It’s just the finding of time and space to spit them out! Wish me luck with that!